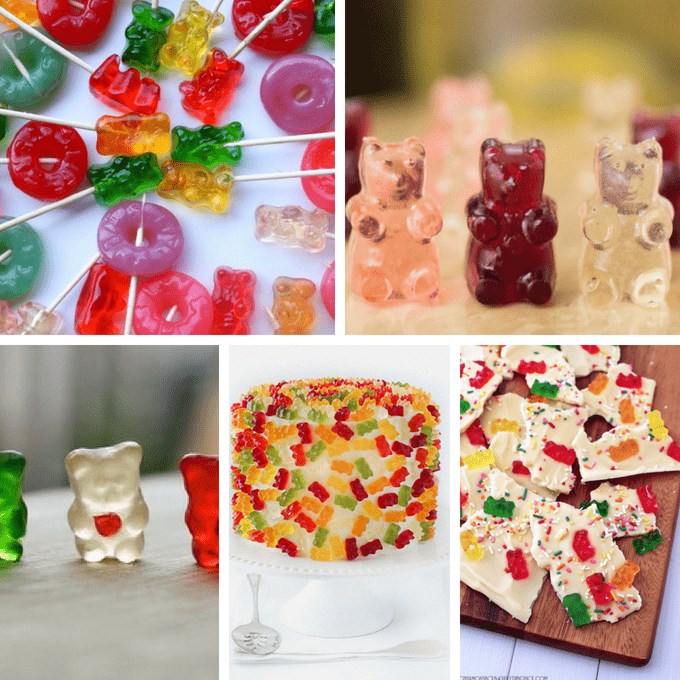 Gummy bears: A roundup of gummy bear recipe ideas and crafts. This is an odd roundup for me, as I don’t actually eat gummy bears. Or gummy anything. I mean, if I was starving and there was a pile of gummy bears in front of me, I’d probably have one. But if I am standing in the candy aisle faced with a choice between gummy bears and anything with chocolate, I’m choosing the chocolate. Every time. If you are a gummy addict, tell me, what is the joy? 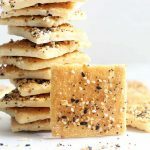 The texture? The stick-in-your-teeth-ivity? The sweetness? The icon-ness of them? I’m missing something, I’m sure, because you clever folks are doing a lot of cool things with gummy bears. I would even be tempted to try these. 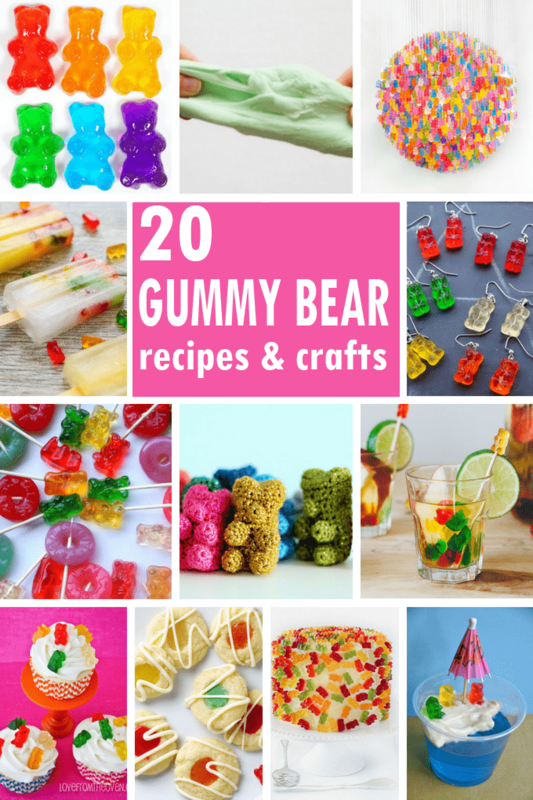 Here are 20 things you can make with gummy bears. 1. Make cookies. How smart is this? 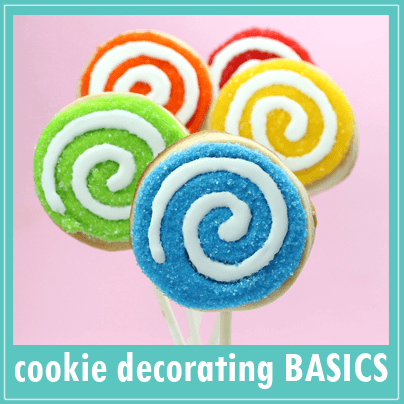 Find the recipe for thumbprint cookies with gummy bears at Tablespoon. 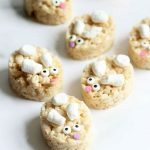 This is a gummy bear recipe I can get behind. 2. Drink them. 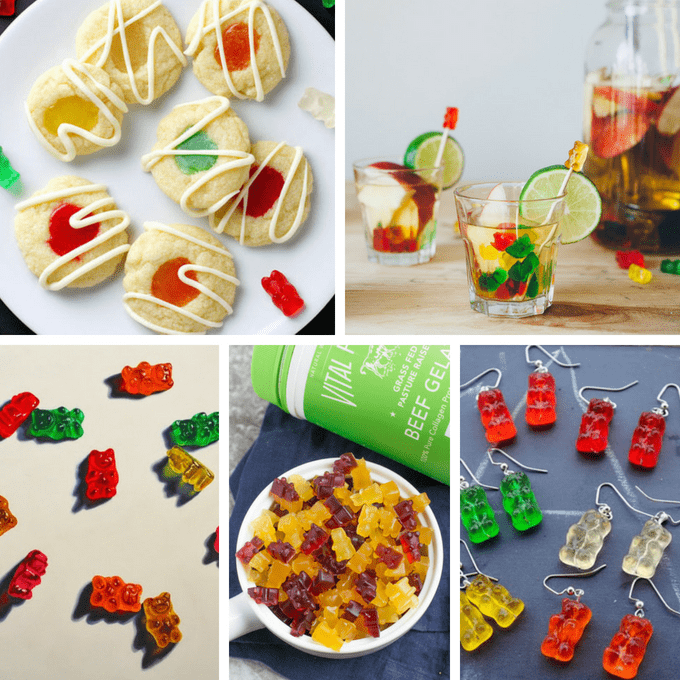 Make gummy bear sangria at My Name is Yeh. 3. Be inspired. Oh my goodness, gracious, check out the paintings of Jeanne Vadeboncoeur. 4. Make them healthy. These actually have fruit. Real fruit. Find the recipe for healthy, homemade gummy bears at The Clean Eating Couple. 5. 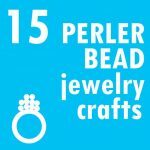 Make jewelry. Coat in acrylic and make gummy bear earrings. These found for sale at Tophatter. 6. Get them drunk. Fill them with vodka at That’s So Michelle. 7. Make them wine. 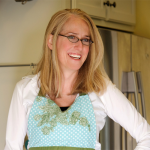 Try this wine gummy recipe at Cooking with Janica. 8. Perform surgery. 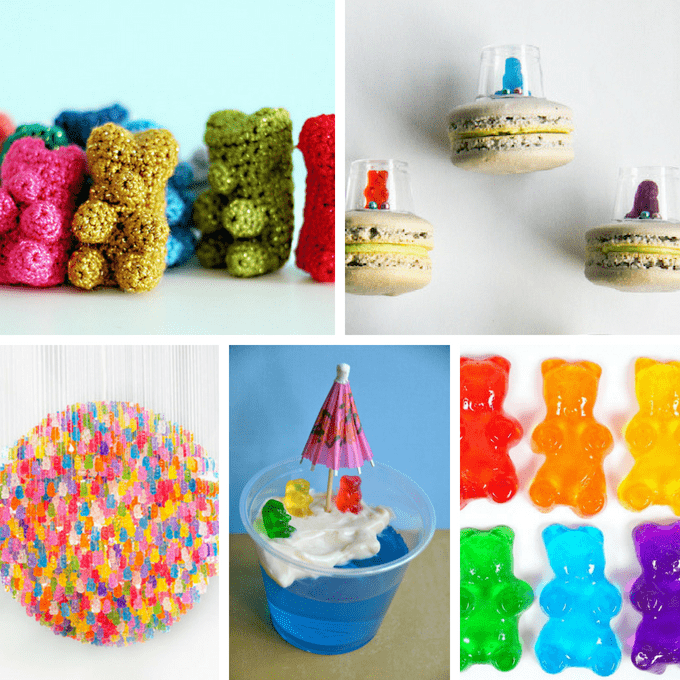 See how you can rearrange gummy bear parts at Instructables. My favorite is the heart surgery. 9. Bake a cake. Five layers of gummyness. Find the gummy bear cake recipe at raspberri cupcakes. 10. Toss them on chocolate. Make gummy bear chocolate bark at Cinnamon Spice and Everything Nice. 11. Slime them. 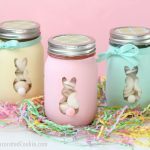 Make gummy bear edible slime at Kids in the Kitchen. 12. Make popsicles. Freeze them up! 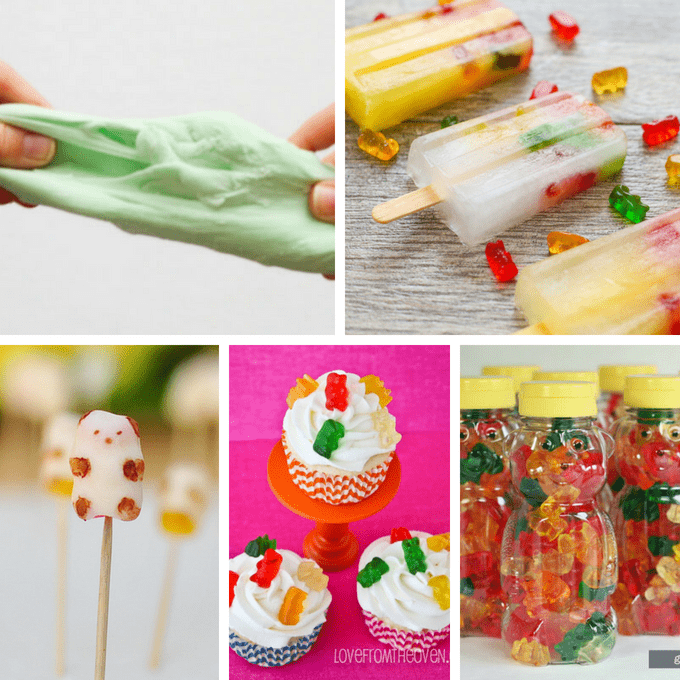 Make gummy bear popsicles at Kirbie Cravings. 13. Make pandas, chocolatey pandas. Dip them in chocolate and make panda bears at The Cheese Thief. 14. Or try cupcakes. 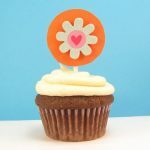 Find gummy bear cupcakes at Love From the Oven. 15. Have a party. And serve these gummy bear favors. Find the whole party at Bliss Bloom Blog. 16. Crochet them. 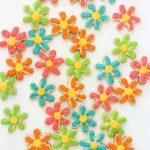 Find the free crochet gummy bear pattern at Twinkle Chan. 17. Turn them into aliens. Make flying saucer macarons at raspberri cupcakes. 18. Make a chandelier. If you have the time to assemble 3000 bears, make a chandelier, like Kevin Champeny did for Jellio. See the video how he made it HERE. 19. Take them to the beach. 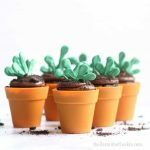 Find the jello cups at I Sing in the Kitchen. 20. Make soap! How about some DIY gummy bear soap, from Happiness is Homemade. Fantastic! Thank you… I added the link above, too. This post came just in time! I recently acquired a gummy bear mould and have been wondering what I can make, as opposed to just regular ol’ gummy bears. Looks like I’ve got some creating to do!